We are taking applications for our newest property – 1932 Slaterville Road, Ithaca (Town of Dryden, Ithaca City School District)! We will be rehabbing the existing house, as well constructing two additional new homes on the property. You, or someone you know, could be our very next Habitat homeowner! February 1 – April 1 is your time to apply! Want to learn more about applying to become a Habitat homeowner? Check out our website for more information! 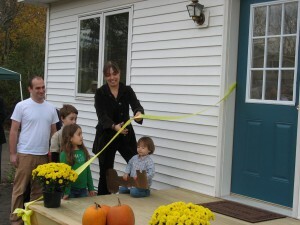 Stories from our homebuyers and details on our income guidelines and the application process. If you, or someone you know, think you’d qualify and would like to apply, or if you have questions, please call 607-844-3529 or email Liz Warner at liz@tchabitat.com for an application or discussion. We want to help!